Religious motifs often occur in art - perhaps they are even the most common. Imagery of gods, saints, apostles, prophets, and religious symbols has occurred in the art world for centuries. 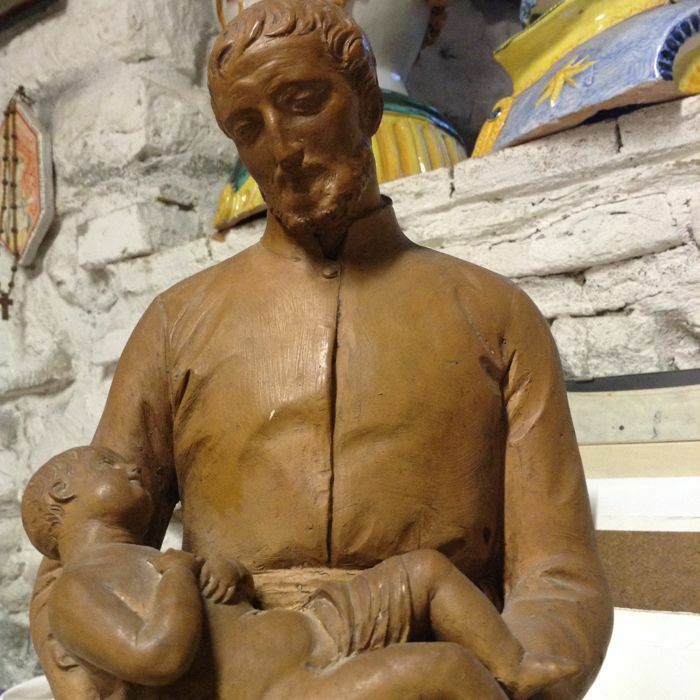 Catawiki has collected a number of religious sculptures in an upcoming auction where Christian Saints dominate. Saints are found in several of the world religions and is found in Christianity, Hinduism and Islam, although in the West we are mostly familiar with the Christian saints. Those who came to be called saints were usually people who sacrificed their lives for faith and thus became martyrs. But sacredness could also be achieved because of the nature and actions of a human being. Those who exhibited great humanistic qualities and actively acted for others could also be canonized, such as Saint Birgitta of Sweden. 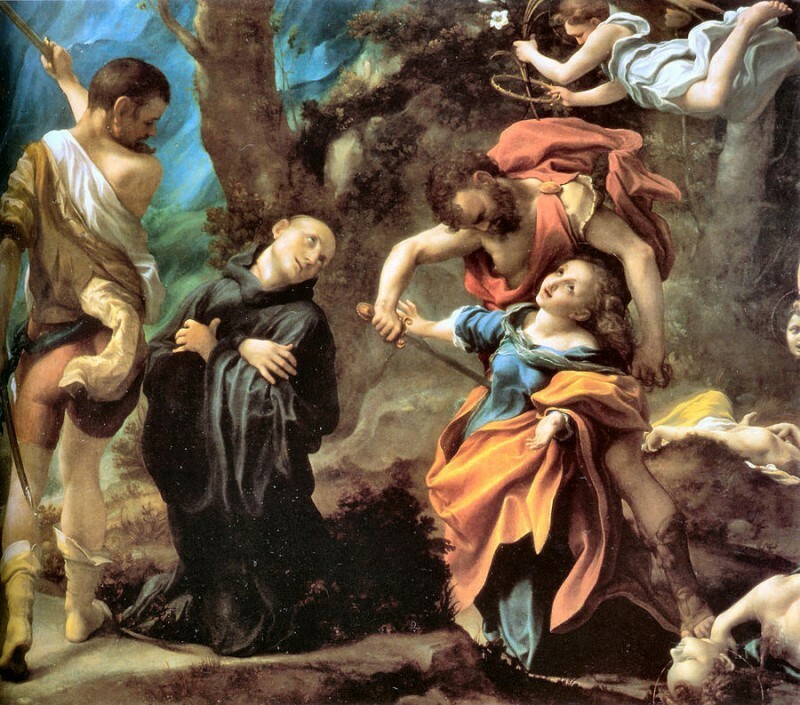 Antonio Allegri da Correggios "Martyrdom of Four Saints", 1524. When fewer died as martyrs for their Christian faith, instead, others were believed to have lived godly lives like monks, ascetics and nuns. In fact, it is the saints that form the basis of our name days - each weekend was especially noted as a certain date, often on their own day of death. The apostle Matthew saint day is for example September 21st, which is also the day of the name Matthew in our modern calendars. Virgin Mary and the Baby Jesus. Photo: Catawiki. Today, the use of saints is most common in the Roman Catholic and Orthodox Church. Of the Christian saints, Virgin Mary is both the most important and one of the most frequently depicted. She is often portrayed with the infant Jesus, by her side or with the child in her arms. 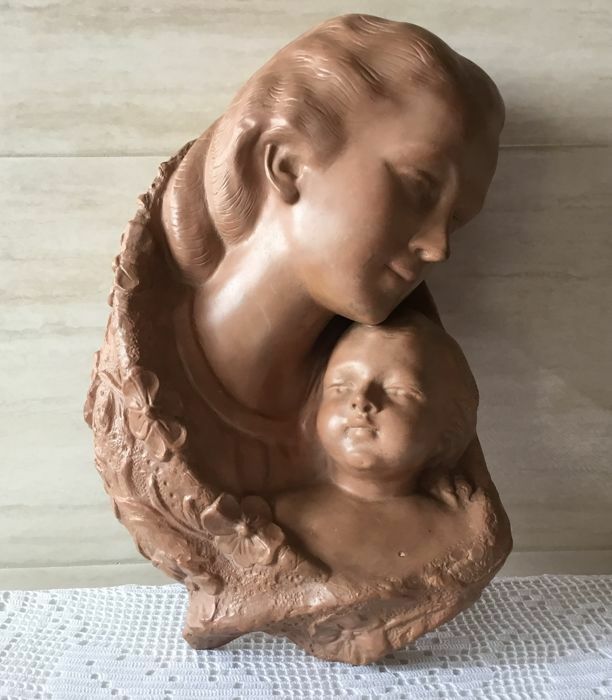 This relief of Mary and Jesus child in terracotta is a good example of how Mary is primarily portrayed as just a mother. The relief was made in the 1940s and 1950s by Italian artist Falsetti. Vincent de Paul, was a French Catholic priest who lived between 1581-1660. Vincent de Paul founded two different orders for social work whose task was to take care of the poor and the sick. In this way, Vincent contributed to the early social welfare in Paris. He was canonized in Rome in 1737 and is like many others who have been conjured up as a patron saint. Vincent de Paul is the patron saint of charity workers and hospital staff, but also for prisoners and detainees. This terracotta sculpture was created in Italy in the late 19th century. At the feet of Vincent de Paul, purple lilies appear, which was the symbol of the saint. Antonius of Padua. Photo: Catawiki. Antonius of Padua is one of the most popular saints of the Roman Catholic Church. He was active in the 1100s and 1200s. He was declared a saint in the year after his death, 1232, and is celebrated on June 13th. In Italian Padua, where Antonius also died, he is still popular today and is often called "Il Santo", which in short means just the "saint". Antonius of Padua is the saint many turn to when looking for lost possessions. This sculpture is carved in wood during the latter half of the 19th century. Joseph and Baby Jesus. Photo: Catawiki. 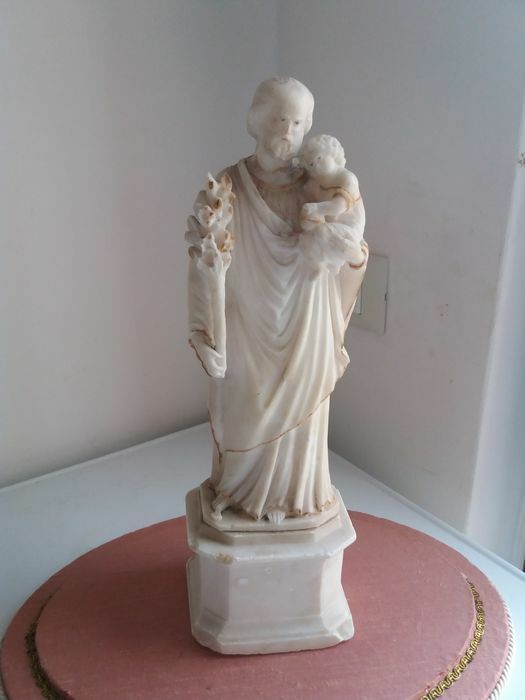 Even Joseph can be found among the Catawiki sculptures - here in marble or alabaster, holding the infant Jesus. The small sculpture measures 13 inches and was made during the 19th century in Sicily. Saint Yves, or Genesius is a saint with many strings on his bow. He is said to have worked as an actor and often participated in plays where Christianity was mocked. During a performance, Genesius supposedly suffered a revelation that converted him into Christianity. As a patron saint, he is depicted among other lawyers, secretaries and actors. As a sculpture, Genesius has been portrayed holding a book, probably the Bible. 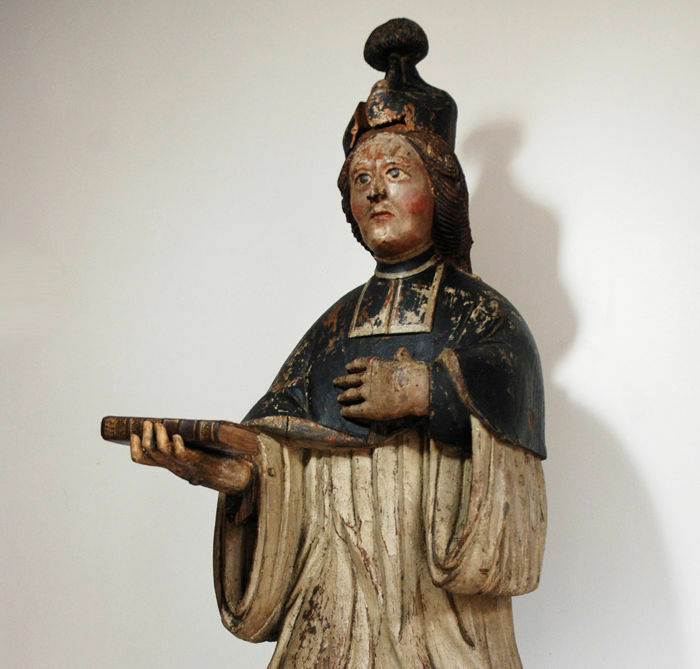 The sculpture is made of wood and probably made in late 1600s or early 1700s. 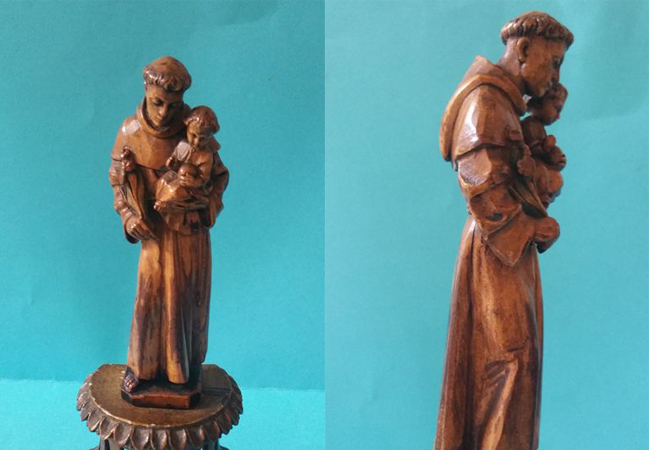 All items at Catawiki's auction dedicated to religious sculptures can be found here! Do you have any items you want to sell at Catawiki? Register here. As usual, you will find Catawiki's ongoing auctions at Barnebys!